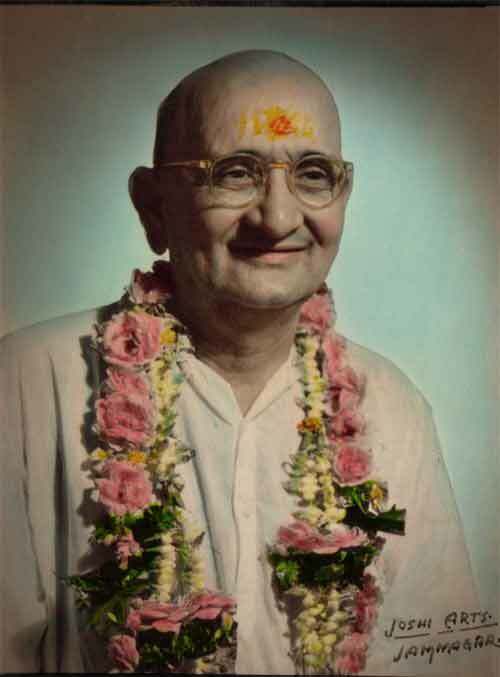 Papa Ramdas (1884 – 1963) was a popular saint and philosopher of the 20th century. He founded the Anandashram at Kanhangad, South India, in 1931. Papa Ramdas quotes are mostly from magazines. This is a small collection of teaching and thoughts of Papa Ramdas and it will be expanded as more quotes are received. Death holds terrors for us. This is because we think we are merely physical bodies subject to birth, growth, decay and death. To shed this fear we must realize that we are immortal and that even if the body perishes we are not going to perish. Only when fear leaves our hearts we shall remain in peace. We cannot see everything as divine because we have got a mind which is obsessed with desires. Desires debar us from the vision of the Divine in each and everything. Love is not bargaining; it is not give and take. It is spontaneous merging of souls. The first quality or virtue we have to develop, before we aspire to have God's humility…you have in fact to unlearn what you have learnt. You must become simple, unsophisticated and childlike. Ordinary love based on the physical affinity is a source of miserly both to the lover and the loved. But Divine Love based on the feeling of spiritual oneness is sublime. It is a source of pure bliss. Here you love another not because he is a relation of yours, but because you and he are one in Spirit. The greatness of man does not lie in this vast riches, exalted position, and name and fame, but in the qualities of the heart. If his heart is pure, free, forgiving, compassionate and humble then he is great. The sense of duality vanishes completely once you realize your identity with God. You and He become one. The drop becomes one with the ocean. There are two kinds of smiles genuine and artificial. Very often we put on smiles, but the heart does not smile, only lips and face take part in it. This is not a real smile. When the heart is filled with joy, it is reflected on the face as a smile. It is a natural outflow of joy. In the eyes of God there is no evil. We suffer because of our ego…what after all is right and wrong? That which takes you towards God is right and that which takes you away from God is wrong. There is no question of right and wrong for one who has realized God. Adversity is not undesirable. Because, it is only when you are down and out in life that you can realize its true value. When you find God within you, all your ambitions are fulfilled…there is no fulfillment of your ambitions from external things. To conquer the lower nature and reveal the glory of the Divine is the purpose of Sadhana. The Sadhaka, before he starts on this enterprise, is a mere tool in the hands of the ego which dominates and control him every way. To destroy the ego-sense is not an easy task. A supreme endeavour backed up by divine grace is necessary. This mind has to be brought into subjection and all the desires vanquished. The method, by adopting which we can safely progress on the divine path, is to surrender himself entirely to the all-powerful God within him by constantly thinking of Him and His attributes. It is by constant remembrance of Him alone that he develops the needed soul force to put down the mind and its machinations and rise superior to it. Instead of being the slave of the mind, we should be the master of it.